Bringing forth her first ever complete line with Puma, superstar singer and actress Selena Gomez is soaring to new heights. 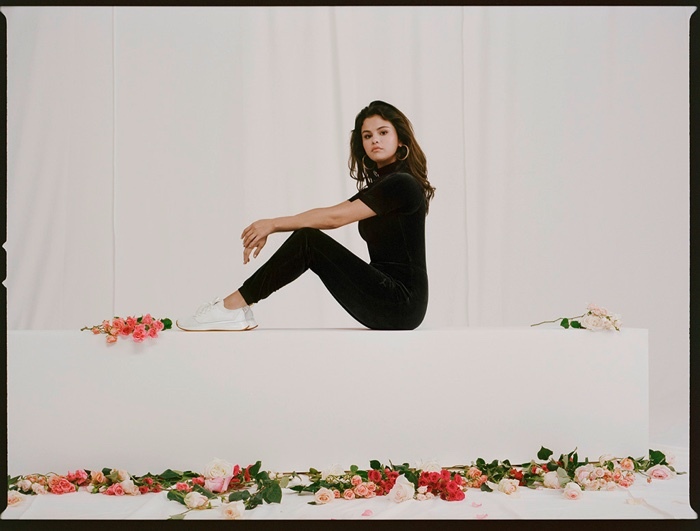 Titled SG x Puma 'Strong Girl', the collection will be available in stores from December 12th, and offers athleisure designs along with an update to the Selena Gomez x Puma Defy Sneaker. Seen in the campaign are some of Selena's closest friends including Raquelle Stevens, Connar Franklin, Caroline Franklin, Courtney J. Barry and Theresa Marie Mingus who all along with Selena wear the line's hoodies and track pants. The collection also offers leggings, sports bras, cropped tops and tees, and the update to the Defy sneaker is a rose-gold plated chain and metal buckle detail in black.